I enjoy attending events in Chicago whenever possible and I’ve learned to stuff my trips to get in as much as possible each time I go. When I received an invitation to a wine pairing luncheon I had just the excuse I needed to plan what would be a delicious trip. The first stop of the day was for the luncheon. 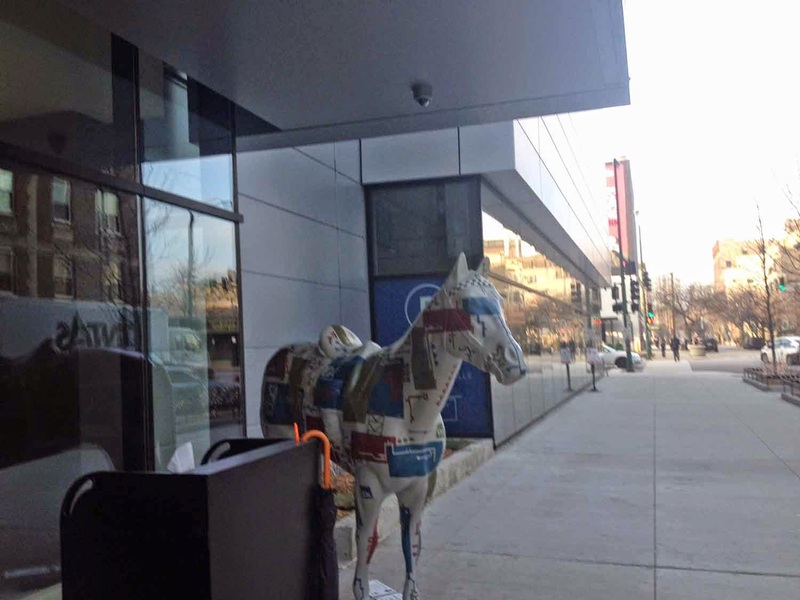 It was at Baffo, the Mario Batali restaurant that’s a part of the Eataly plaza in Chicago. 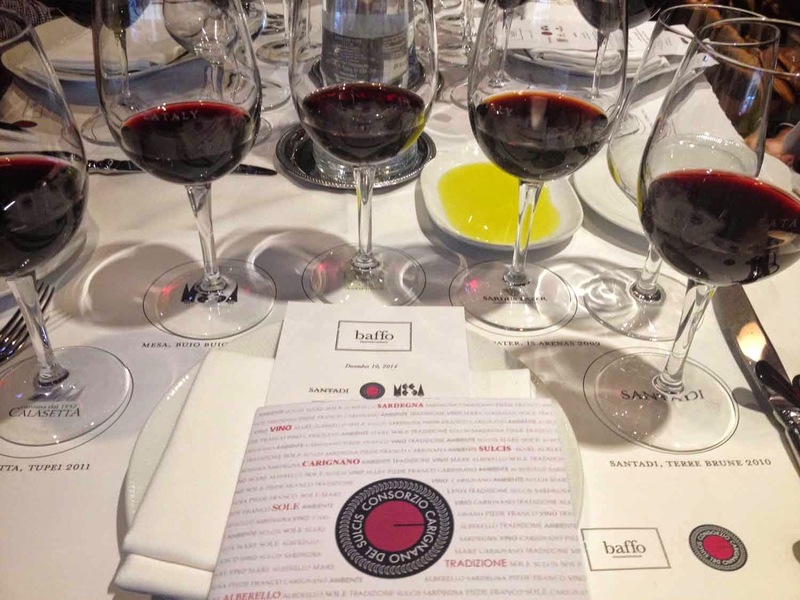 The meal was being paired with Consorzio Carignano del Sulcis wines. I didn’t know much about this region on the island of Sardinia, nor had I tasted this red grape. It sounded like a perfect accompaniment to Batali’s Italian specialties and it certainly was. 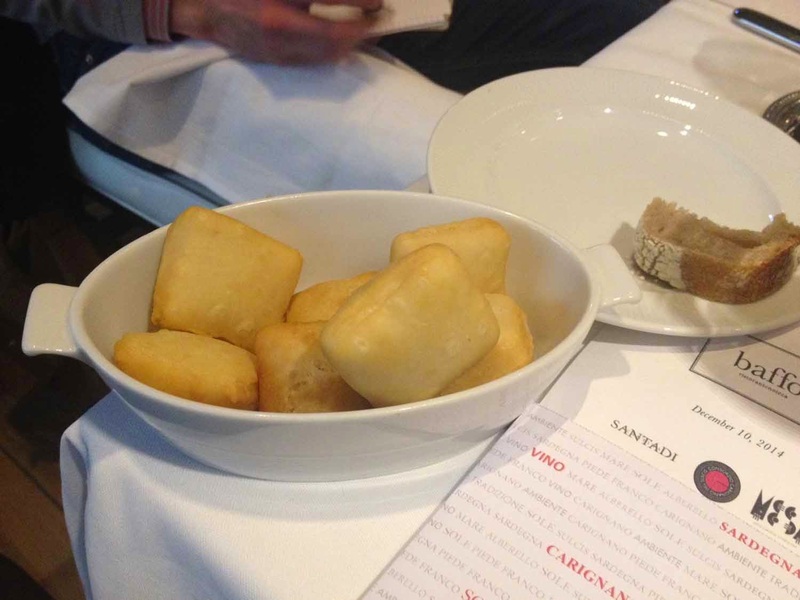 This antipasto and fried bread worked well with this rich wine. Bowtie pasta, with pancetta and tomato, was a good accompaniment to my favorite wine of the day. 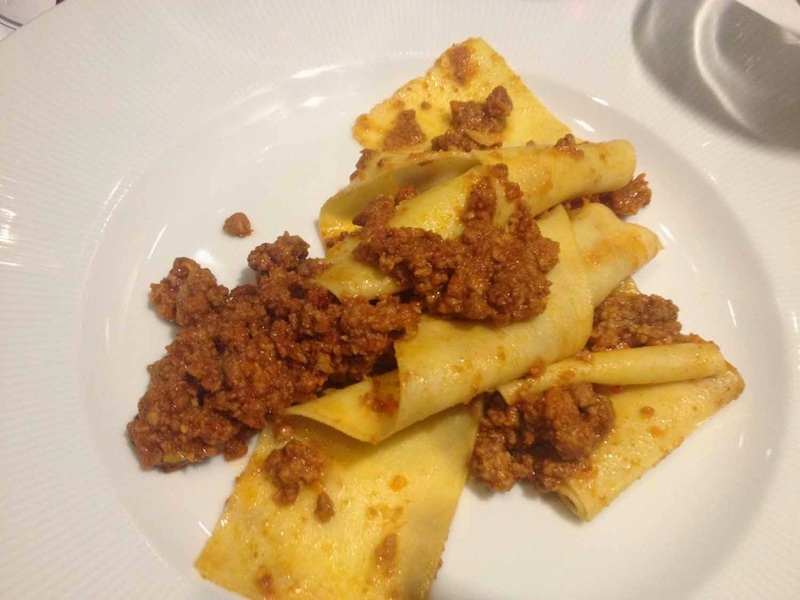 I love this wide pasta and the meat ragu picked up the peppery wine notes. 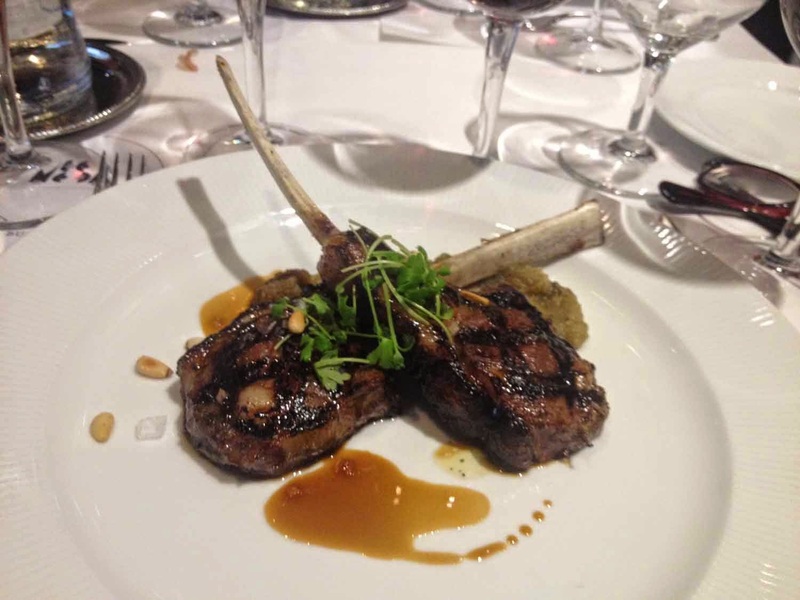 An interesting wine with a slightly sweet finish complimented the lamb chops with eggplant. The cheese and jam matched this wine, filled with dark fruit like blueberry and blackberry. After the luncheon, we went next door and met Valeria Fanelli, from the Public Relations department of Eataly Chicago for a private tour. 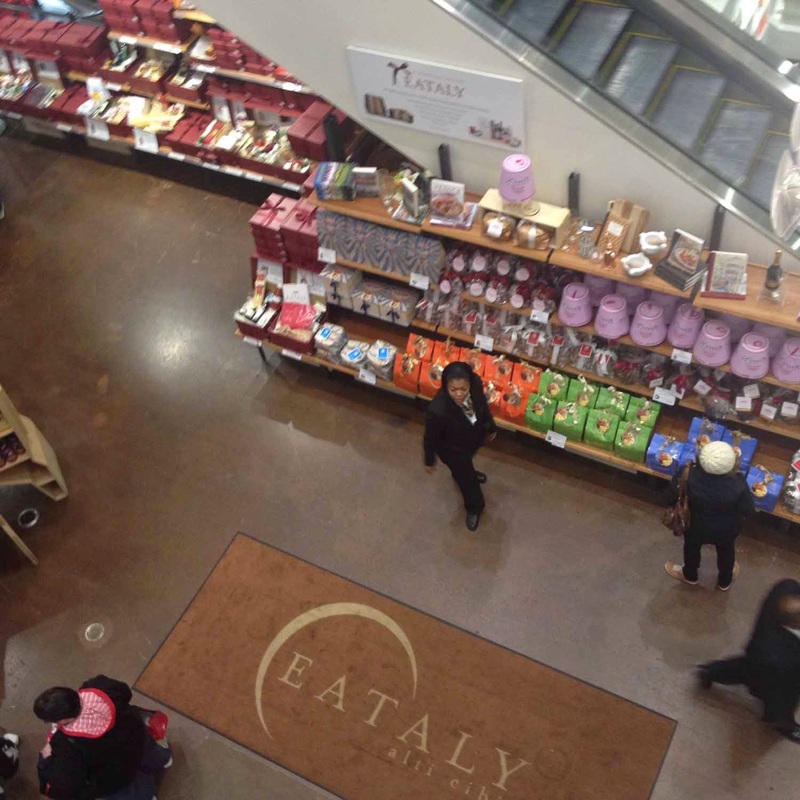 To say I was impressed with Eataly would be a gross understatement. I expected a gourmet food store and instead felt like we landed in the middle of Rome! We knew immediately this wasn’t going to be an ordinary tour so we made our first stop for cappuccinos at one of the most complex espresso machines I’d ever seen. The coffee was as good as it looks and it reenergized us for the walk through the two floors of this food and drink mecca. The premise behind Italy is not only finding gourmet and unusual items, but getting them as fresh as possible. On these premises they make bread, cheese, sausage, pastries, and even beer. The selections of wine, olive oils, and pastas (including freshly made varieties) are the largest I’ve ever seen, and the produce and meat aisles contained unique items. 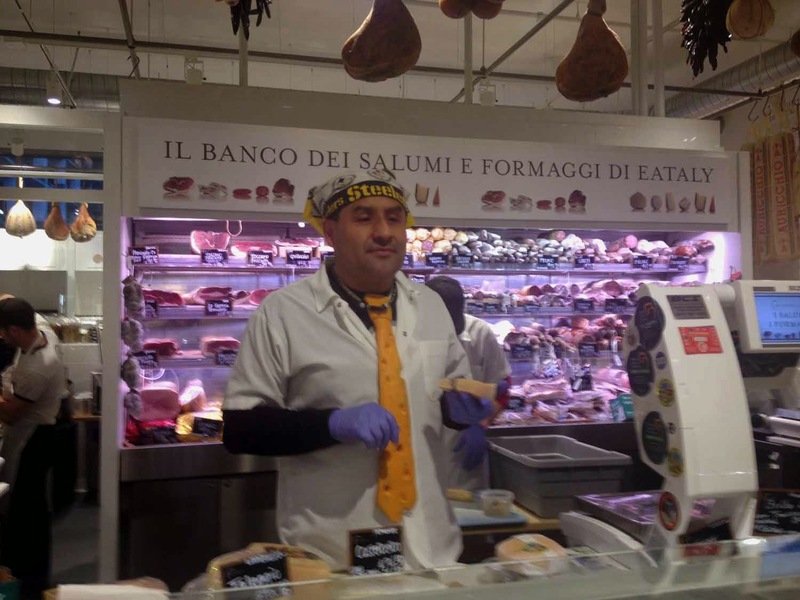 Whenever possible Eataly obtains its produce, meat, and cheese as close to the location as it can. 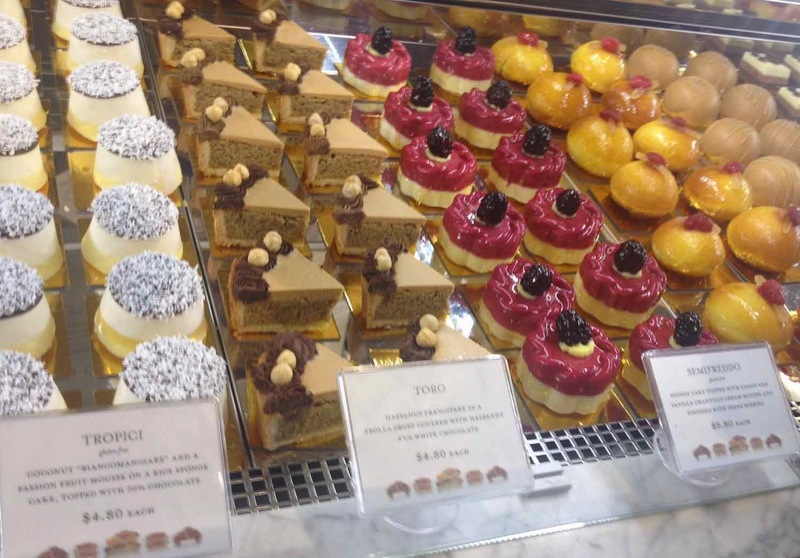 You can shop for cooking or bring prepared food home from Eataly, or enjoy it there with a glass of wine if you’d like, in the various areas such as the pizza, pasta, or sandwich bars. Before Lisa and I left Eataly we sampled some cheeses from the Fromaggi section. We picked up some cheese, bread, and sauces before leaving. It was easy to get exactly what we wanted as the staff is very well trained and extremely helpful. From Eataly we headed to the Godfrey Hotel to check in for the night. It’s a fairly new contemporary addition to Chicago and the rooms are quite nice. They also include many extra amenities, such as complimentary Wi-Fi, bathrobes, and L'Occitane bath products. We had a bit of time to relax and change before we headed to the IO Urban Rooftop Lounge. The weather was too cool for the retractable roof to be open, but we could clearly see that this modern and comfortable lounge would be more spectacular when the top was removed. 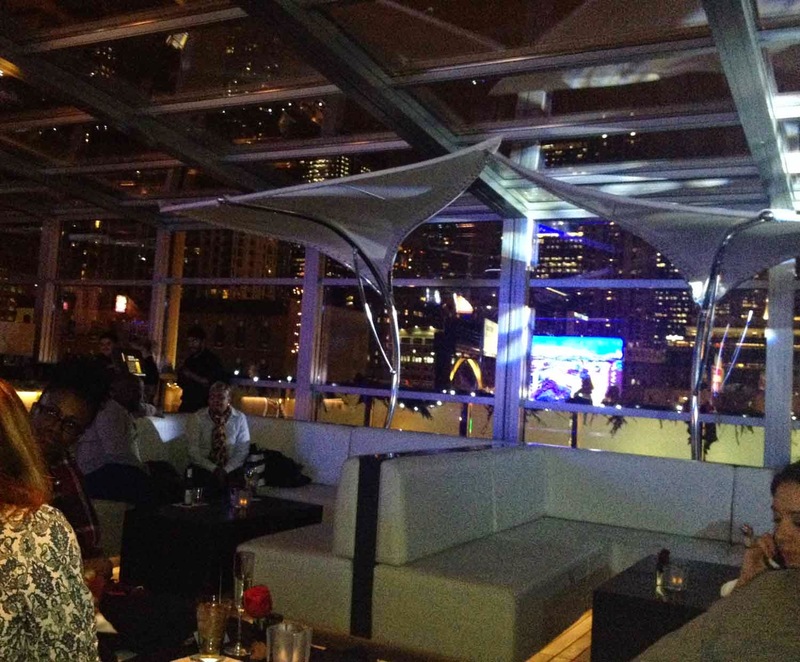 The views of Chicago from Godfrey’s rooftop are spectacular and, with a total of 15,000 square feet of indoor/outdoor space, it would be difficult for this place to feel crowded. 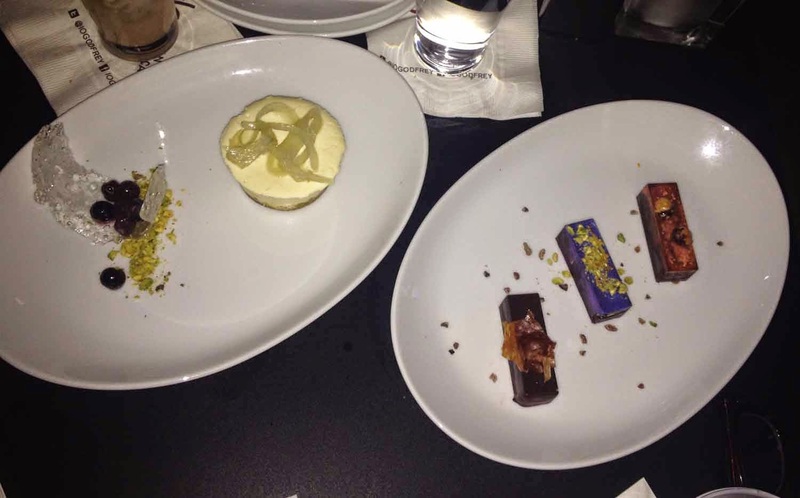 We indulged in the small plates from the menu, trying a little bit of everything. The menu does change seasonally, but you can’t go wrong with anything here. 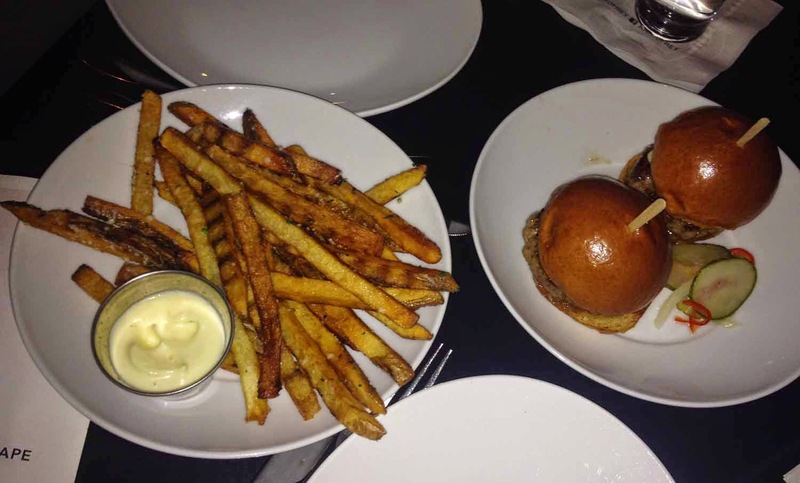 A few of the items that stay on the Godfrey Rooftop menu for you to try are the Signature Black Truffle Fries, the Lamb Lollichops, and the Prime Beef Sliders. You’ll also want to give the special spreads and risotto a try, but save room for dessert – they certainly know how to satisfy a sweet tooth. 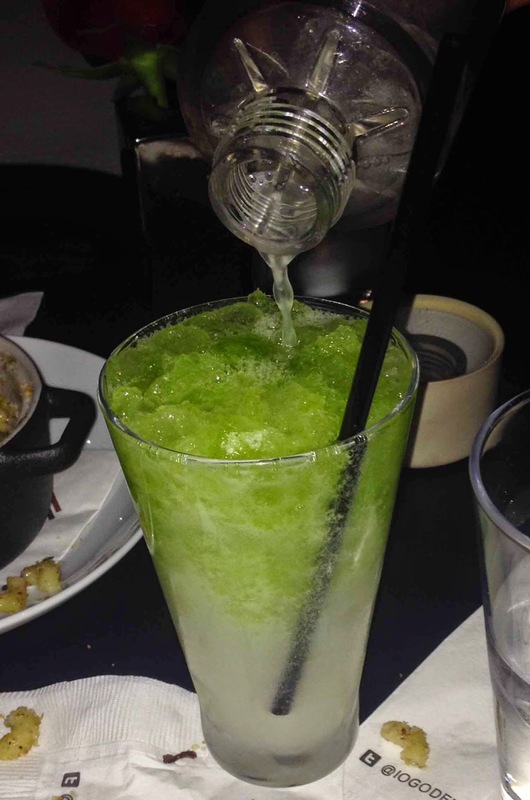 I’d also have to give a shoutout to the handcrafted cocktails here, including a spectacular mojito. Lisa and I spent a few hours enjoying the Urban Rooftop at the Godfrey for hours before we retired for the night, full and relaxed from another Chicago outing.